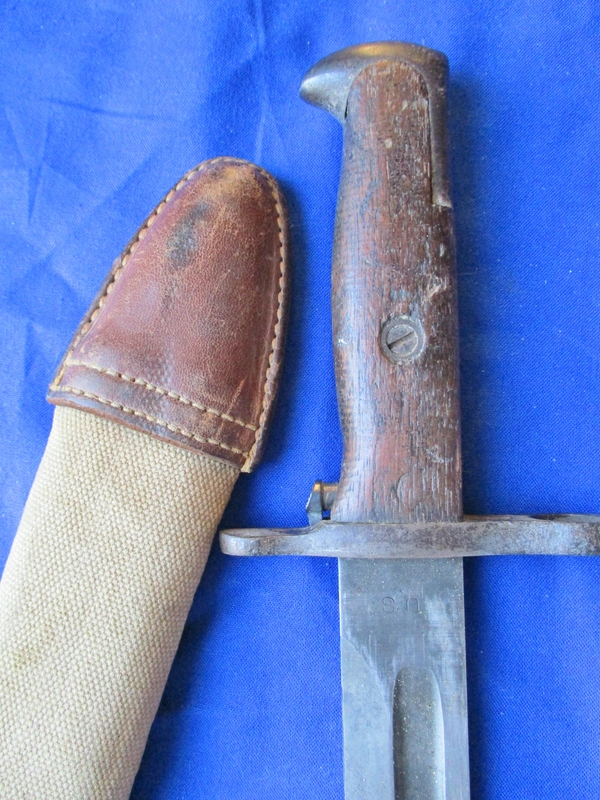 Description: Bayonet is well used but still very nice - grips have no cracks only a couple of small chips - grips are very tight - retaining button works as it should - blade is turning brown and gray - R.I.A. 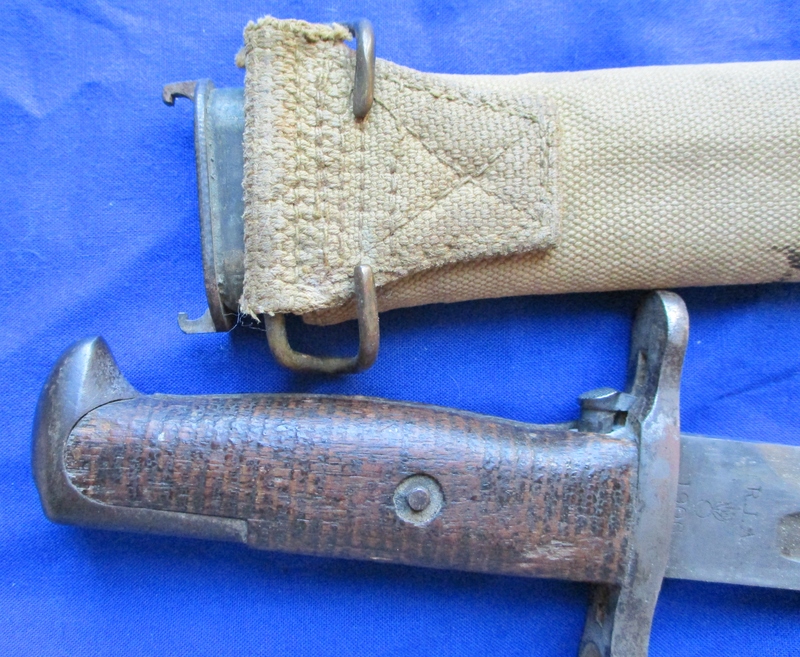 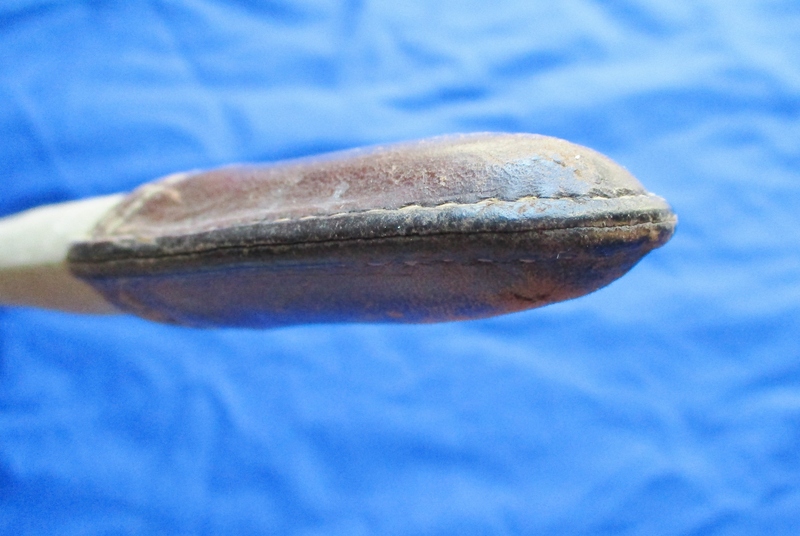 1906 and no serial number makes this a part of the initial run of Model 1905 bayonets - scabbard has wear and staining but no holes or damage - leather is completely intact - no busted stitches. 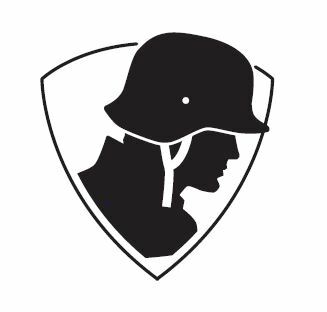 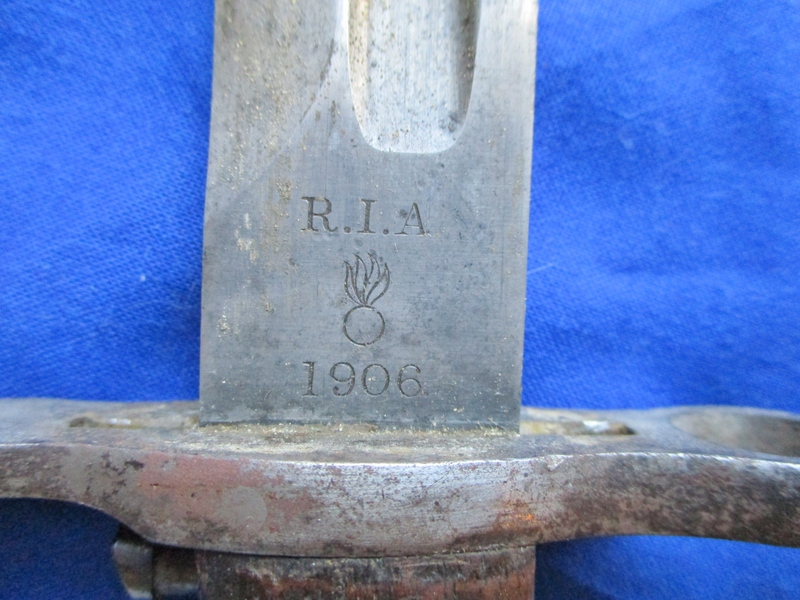 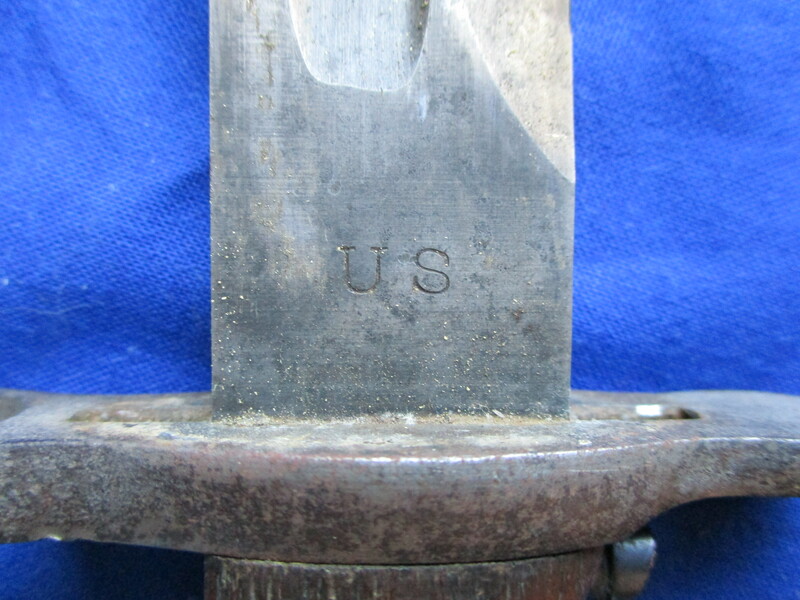 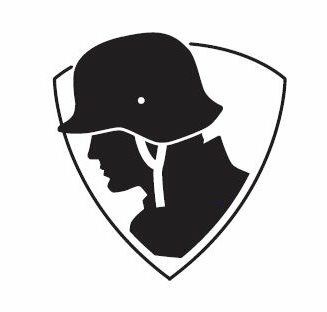 This is a very hard to find bayonet and these don't come along very often.